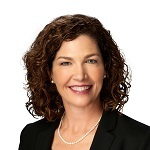 As president and chief executive officer, Joanie Teofilo is responsible for leading and developing the organization while driving the strategic focus of The Energy Authority to deliver enhanced value to its Members and Partners. Under her guidance, TEA helps public power systems operate more efficiently, manage energy risk diligently, and expand their market reach. As a member of TEA's original launch team in 1997, Ms. Teofilo's entrepreneurial vision and value-focused leadership have played a vital role in shaping the organization's deal capture trade systems, deal pricing, and deal valuation practices. Prior to assuming her current position, Ms. Teofilo served as vice president of risk control and chief risk officer, responsible for leading TEA's middle office in monitoring commercial risk while managing all compliance, as well as overseeing all risk control and analytics functions for the business. Throughout her tenure, she led teams to design and implement customized risk management programs that specialized in hedging recommendations and risk metrics for TEA's Members. Ms. Teofilo has also been responsible for the execution of financial positions for natural gas, power, and crude oil. An industry expert, Ms. Teofilo is regularly sought out to speak at seminars on energy risk management and other related topics. Her speaking engagements have included the Committee of Chief Risk Officers' joint roundtable between the Commodity Futures Trading Commission and the Federal Energy and Regulatory Commission, and various events hosted by the American Public Power Association and Electric Utility Consultants, Inc. Prior to joining TEA, Ms. Teofilo worked as a project engineer in construction management at Santee Cooper, one of TEA's original equity owners, where she participated in combustion turbine studies, emissions studies, and the planning and implementation of equipment upgrades at generating stations. Ms. Teofilo began her professional career as a mechanical engineer at the American Samoa Power Authority, where she assisted with the development of a unit maintenance program, analysis of diesel generator performance, and capital improvement projects. Ms. Teofilo holds a master's degree in business administration from the University of South Carolina. She obtained bachelor’s degrees in both mechanical engineering and government and international relations from the University of Notre Dame. She is also a registered Professional Engineer. TEA takes the time to understand your unique values and objectives.